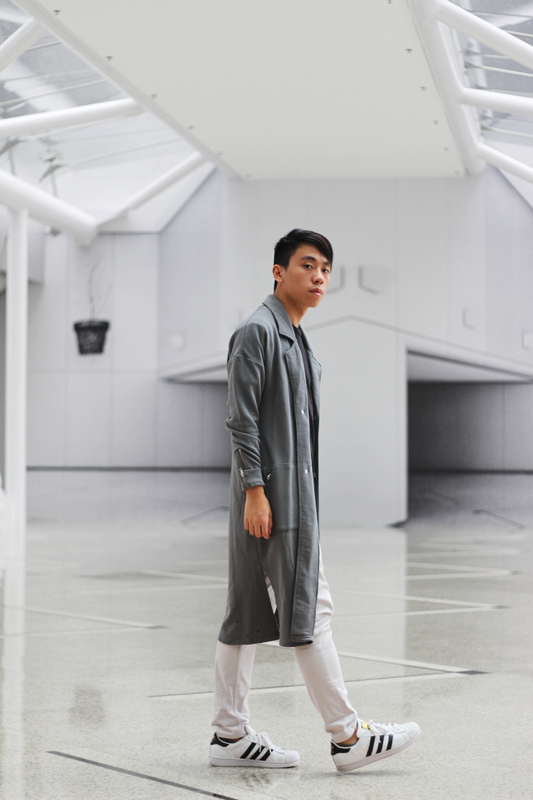 Don't forget to hype my look on lookbook! I'm definitely a huge fan of wearing white, black and GREY! You guys probably saw me wore white, black and grey outfits for many many times on Instagram @danielpoonvignez. Those colours are very classy. It almost goes with everything in every outfits. Those colours are very suitable for some "lazy" people who don't wanna think what to wear but stay classic. Wearing denim is another good choices when you're out of ideas. You can see how I style denim on my posts lately. Also, I'm trying to wear different kind of clothing. 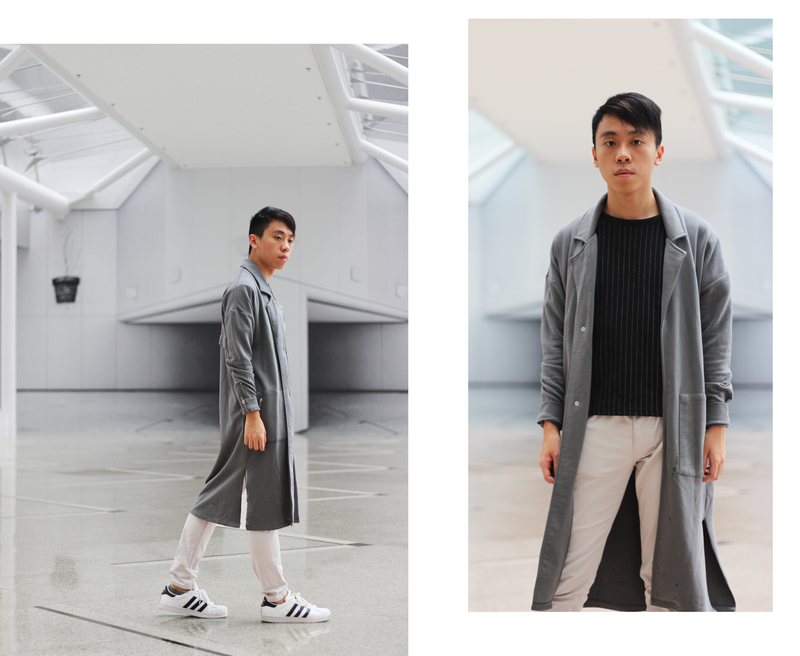 For this outfit, I'm wearing my new favourite longline oversized duster coat from ASOS. However, it's out of stock now. They're very thin which is very perfect for spring. I won't feel so hot when I'm wearing this on street. And I will recommend people to wear a thin coat/jacket if you go to somewhere air-conditioned. Of course you can take it off whenever you want. But don't ever underestimate the power of thin coat/jacket. They can really save your life when the air-conditioning is TOO cool! The monochrome style looks fab on you! Love your style! Please check out my latest lookbook challenge. Loving the layers and that coat is amazing!! Neutrals are definitely a classy look. Great coat! Fabulous! The coat is everything! Living for the Adidas! Such great style luv. Amazing style! The oversized coat definitely makes this outfit very stylish! I'm so in love with this look ,it's perfectly styled especially with the sneakers. AC can be brutal sometimes! 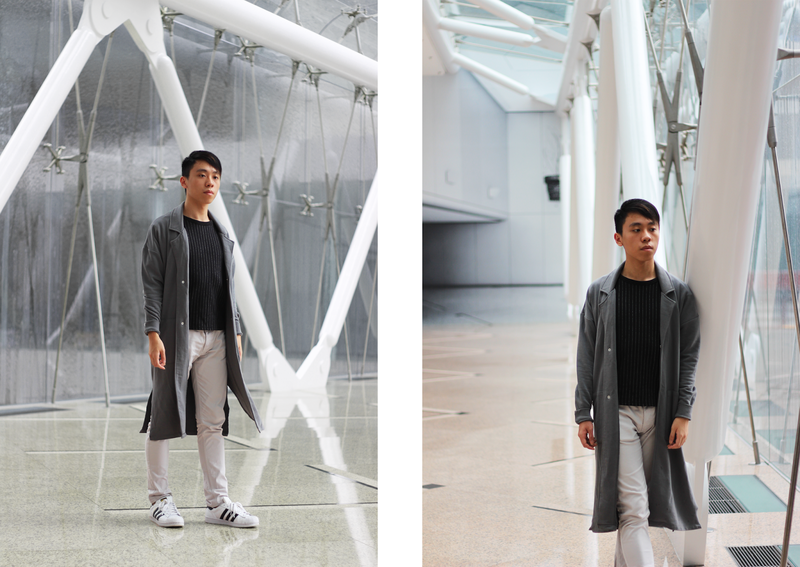 Love your coat and these shots! Great styling, I love that coat! Loving your style! I'm a big fan of monochrome looks, you can't go wrong with black, white and grey :) This dust coat is just perfect I would wear it myself! Wow you look so perfect. You great sense of style.. I love your style! I'm a huge fan of your coat! I love your coat, you loo super stylish! Nice pictures! This look is super cool! 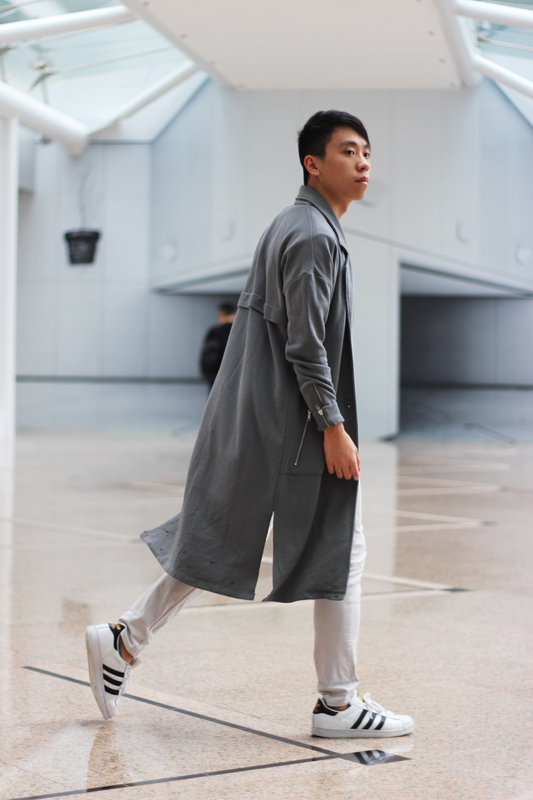 Very cool oversized coat, great colour and perfect with your Adidas. Nicely styled! You have such a great style! Love your blog. You are looking MAGNIFICENT .. HAPPY MAY DAY!! The look with the sneakers is so cool! Coat is amazing!! Great pictures dear. You look fabulous with this outfit. Love the coat! I'm gonna steal your coat someday. Be prepared! Love how you styled the coat! What a great color too. Super stylish look - love that mouse grey coat! Love your style! 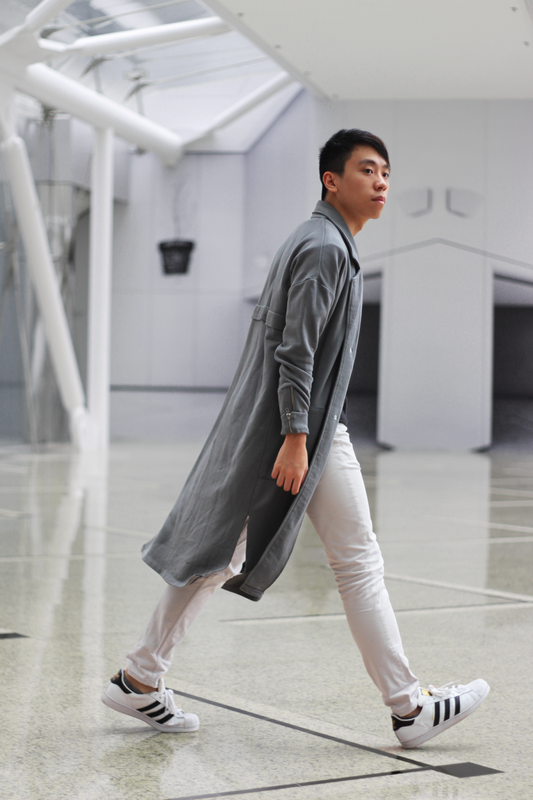 Gorgeous outfit, really like the gray oversize coat. You look so fashionable! Love it! I love how you layered your outfit man!have a nice day. Good outfit and perfect combination!! Love this look, you always look so chic! I'm obsessed with the color grey too, it's a for sure "go to" for me. You came across my blog and left me a lovely comment so I thought it was only fair to come checks yours out. Very impressive. I really admire mens styling. The coat is pukka. everything on you looks so good! Damn good style and blog! Keep it up! Loving the Adidas! Great style luv. obsessed with this minimalist look! that outerwear is a killer. This is a great minimalist look. The coat is so lovely. You have an amazing style! This coat is great! This coat is amazing! And I also like the way you styled it!